A Y E A R I N M Y K I T C H E N. It is always difficult for an author to name a favourite book from their own backlist, but when I am asked I invariably choose The Kitchen Diaries. This is an account of more or less everything I cooked in the course of a year, presented as an illustrated diary. The book goes with the ebb and flow of the seasons, taking in everything from A Vegetable Curry for Six (March 30th) to A Rummage through the Fridge (April 24th.) With over 300 straightforward recipes and notes from my diary, some say it is worth the price simply for the Brownie and the double ginger cake recipes, both of which seem to have gathered something of a following. (Thank you for all your emails.) I rather like the pork and lemon meatballs myself (April 20th). `Vivid and touchingly personal, it is the kind of book you will dip into again and again` Casilda Grigg, Daily Telegraph, Books of the Year. 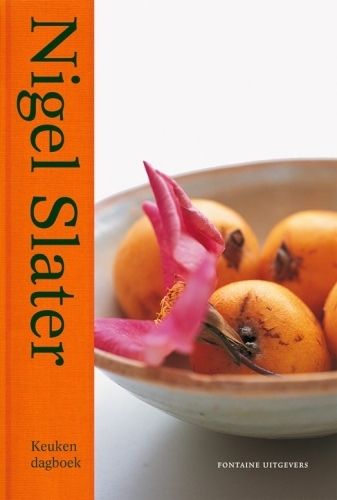 `Slater is a master recipe writer` The Guardian, Books of the Year. `Slater`s evocative prose gives the impression that you are already devouring that strawberry mascarpone tart` Financial Times, Books of the Year. `Slater has become the foodie Pepys` Elfreda Pownall, The Spectator.